Hanuman Jayanti is celebrated by people in India every year, celebrating the birth anniversary of Hindu deity Hanuman Ji. According to Indian Hindi calendar, this festival is celebrated on the 15th day every year in the Shukla party of Chaitra (Chaitra Purnima) month. 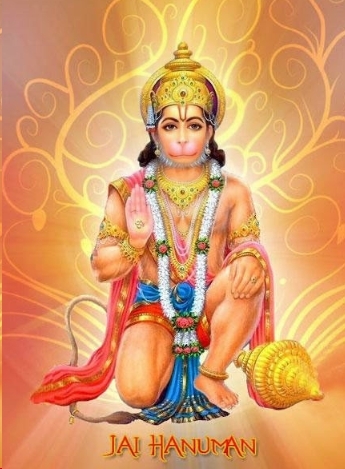 Hanuman Jayanti will be celebrated by people in the year 2019 on April 19th. Lord Shri Hanuman, the great devotee of Lord Shri Ram, is worshiped due to his deep faith in Lord Shri Ram through people of Hindu religion all over India. On the day of Hanuman Jayanti, all Hanuman temples become very crowded, because people start worshiping them only after taking a holy bath in the morning. Hanuman Jayanti is celebrated by the people of Hinduism as an important festival of Hindus with great enthusiasm and enthusiasm. 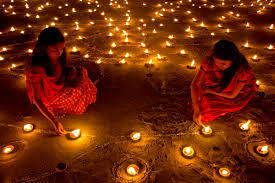 This is a great Hindu festival, which is celebrated in a cultural and traditional way. People worship Lord Hanuman as a symbol of faith, magic powers, strength and energy. People recite Hanuman Chalisa because it has the ability to destroy bad powers and to give peace to the mind. On this day Hanuman devotees go to the temple of Lord Hanuman after bathing early in the morning and offer a red vermilion on the idol of Hanuman Ji, recite Hanuman Chalisa, offer offerings of laddus, chanting mantras, Do many rituals, do the orbits of the temple etc. As everyone knows, that Hanuman Ji was born in the monkey community with Lala-orange body, for this reason, all Hanuman temples have statues of a red-orange color of Hanuman Ji. After worship, people put a red vermilion in the form of offerings on their brain (forehead) and distributing laddus prasad to the people to fulfill their wishes from Lord Hanuman. In Maharashtra, according to this Hindu calendar, the full moon of Chaitra month is celebrated. However, according to other Hindu calendar, it falls on the 14th day in the dark side of the Ashwin month. After worship, Prasad is distributed among people to get complete blessings. In Tamilnadu and Kerala, it is celebrated in the month of Margashirsh (between December and January), with the belief that Lord Hanuman was born this month to Amavasya. In Orissa, it is celebrated on the first day of Vaisakh (April) month. In Karnataka and Andhra Pradesh, this Vaishakh is celebrated on the 10th day of the month, which begins with Chaitra Purnima and ends on the Krishna side on the 10th day of Vaisakh month. The function of Hanuman Jayanti indicates the balance in the co-existence of the entire Hanuman species with the wonderful creature of nature. Lord Hanuman was from the Vanar community, and people of Hindu religion worship Lord Hanuman as a divine creature. This festival holds great importance for everyone, although Brahmachari, wrestler, and strongman are particularly inspired by this celebration. Hanuman Ji is known by many names among his devotees; Like- Bajrang, Pawansut, Pawan Kumar, Mahavir, Baliibima, Marutsut, crisis redemption, Anjinut, Maruti, etc. Hanuman Avatar is considered as the 11th Rudra Avatar of Lord Shiva with great power, faith, devotion, strength, knowledge, divine power, bravery, intelligence, selfless service-spirit etc. He devoted his entire life to the worship of Lord Shri Ram and Mother Sita and never demonstrated his powers without any purpose. Hanuman devotees pray for Hanuman Ji to get the blessings of wisdom, wisdom like him. Through their devotees, they are worshiped in many ways; Some people meditate with their name for a long time in order to get strength, fame, success, etc. by chanting their name, while some people chant the Hanuman Chalisa for all this. Once, the lord of a great saint Angira Paradise went to heaven to meet Indra, and he was welcomed with the dance of Apsara of heaven, the dance of Punijingthala. However, the saint did not have any interest in such a dance, at the same time he began to meditate on his Lord. At the end of the dance, Indra asked him about the performance of dance. He was silent at that time and he said, I was in the deep meditation of my lord because I have no interest in performing such dance. This was a matter of great shame for Indra and Apsara; He started disappointing the saint and then Angira cursed him, "Look! You have lowered the earth from heaven. You are born as a female monkey in the jungles of the mountainous region. " He then realized his mistake and apologized to the saint. Then the Saint received some pity on him and blessed him, saying, "A great devotee of the Lord will be born to you. He will always serve God. "After this, he became a scion of the miser (king of monkeys on earth) and he was married to Kesari of Sumeru Mountain. They have five divine elements; As such, the curse and blessing of Rishi Angira gave birth to her worship, blessings of Lord Shiva, blessings of Vayu Dev and son Shreshtha Yagnav gave birth to Hanuman. It is believed that Lord Shiva was born as Hanuman Vanar in the form of a rebirth of man on earth as the 11th Rudra Avatar; Because they could not serve Lord Rama in their true form. Humans were very happy with all the monkey community and celebrated their birthday with great zeal and enthusiasm with dancing, singing, and many other happy activities. Since then, on this day, Hanuman Jayanti is celebrated to receive strength and intelligence like theirs by their devotees.